The Washburn N7 is the latest in the Nuno Bettencourt series of guitars. However, this time they have given you an extra string to play with! Nuno Bettencourt is a guitarist well known for exploring the full potential of his guitar but now with the recent launch of the Washburn N7 Nuno Bettencourt signature guitar he has got an extra string to play with. With ExtremeNuno Bettencourt quickly gained a reputation for his super-charged fretboard antics. Washburn released the N4 signature series in the 1990s tapping into the success of Extreme. The guitar proved an instant hit and other models, the N2, N3, N5 and N6 extended the range. However, the N7 is the first in the series to offer the seventh string. 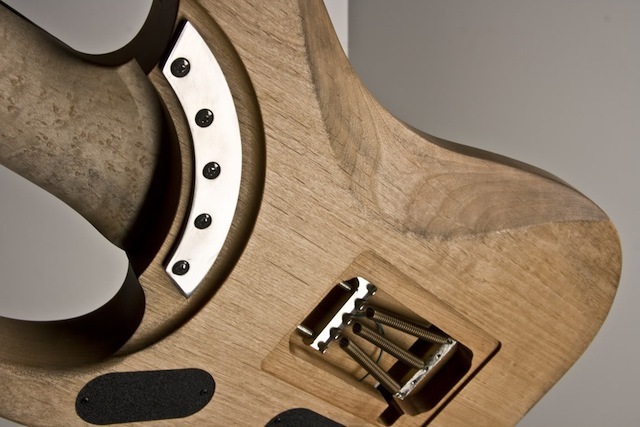 The Washburn N7 features the patented Stephens extended cutaway neck joint. The Washburn N7 features the same basic specifications as its six string cousin the N4. The aged alder body looks fantastic and gives the guitar a cool no-frills look that I really love. The neck of the guitar is made from maple and has a 22 fret ebony fretboard. 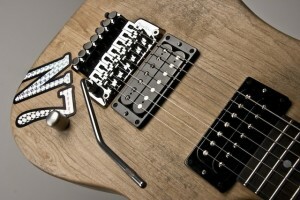 The neck features the Stephens extended cut-away neck joint giving the guitarist un-rivalled access to the upper frets. The bridge is a Floyd Rose original locking tremolo and the pick-ups are a Seymour Duncan 59 humbucker in the neck position and a Seymour Duncan Distortion humbucker in the bridge position. Armed with a Floyd Rose tremolo unit and a pair of Seymour Duncan humbuckers the Washburn N7 is armed to rock! Bettencourt has described his decision to go with the seventh string as being driven by a desire to expand his musical horizons within the band and has already been used in the writing of the next Extreme album. Bettencourt states that he has always wanted to work on a seven-string but it took him a while. He says that he is actually still in the process of adjusting to the extra string. Asked why he hasn’t gone with the seventh string before now he says, rather self deprecatingly, that he has enough trouble enough with six strings so the addition of an extra string just helps to confuse him. His audience will be used to his low sound as he is well knownfor playing through an Octave pedal but he adds that using the pedal seems like cheating. With the Washburn N7 there is now no need to cheat. We look forward to hearing how the Washburn N7 enhances the sound and style of the great Nuno Bettencourt. To find out more about the Washburn N7 visit the Washburn website. Guitar Insurance – Do you need it?